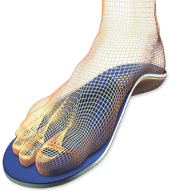 Orthotics are orthopedic devices that are used to alter or modify foot function and are designed to treat, adjust, and support various biomechanical foot disorders. Custom-made foot orthotics are made for the specific needs of a patient. Custom orthotics are created by placing the foot in a foam cast, which makes an impression of the foot and duplicates any misalignments of the foot’s structure. The finished orthotic is placed in the patient’s shoe to support the foot and eliminate abnormal foot biomechanics by keeping the foot properly aligned while walking or running. Overpronation or an excess falling of the arch is the cause of most biomechanical gait problems and therefore the main culprit that can lead to foot troubles. 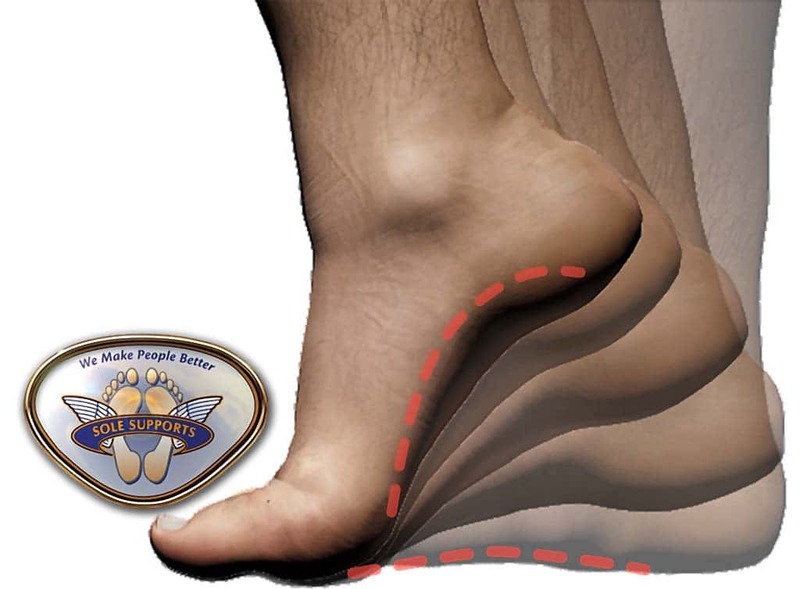 A custom foot orthotic stops overpronation by preventing the arch from falling as far as it normally would. 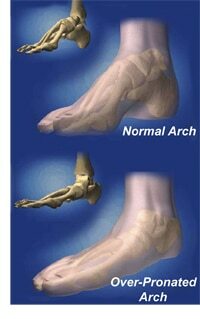 Good orthotics make contact with the entire arch and starts to slow it as soon as it starts to fall. Orthotics with a poor design try to catch the arch after it has already started to speed up and they do not prevent pronation as well. Your Arch: Some people have a large arch and some have a very small arch. Your Foot Flexibility: If your foot is more flexible, it needs more support. Your Weight: A larger person needs more support for their foot and arch. Your Activity: A person who runs or spends more time on their feet during the day needs more support. Custom foot orthotics correct a biomechanical problem in the feet in the same way that eyeglasses or contacts correct an optical problem. Almost anyone, from children to adults, can benefit from orthotics, but the question is whether they really need orthotics. 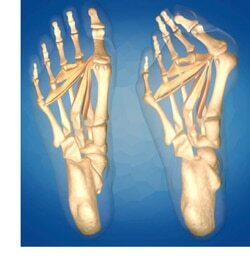 Orthotics can alleviate many common foot problems that cause pain and discomfort in otherwise healthy people. An analogy can be made between orthotics and eyeglasses—both devices adjust problems that can impair physical function. In both cases, a physician (e.g., eye doctor or foot care specialist) performs a complete examination and then prescribes the proper amount of correction. 1. Take your shoes and socks off and sit in a chair. Rest your bare feet on the ground in front of you and notice the contour of the arch of your foot as it rests on the ground. Now stand up and notice how the arch changes its contour. When you are weight-bearing, the arch flattens out. Some people with very flexible feet have large arches while sitting that completely collapse when they are standing. Other people have smaller arches that do not change much when they stand up because their feet are more rigid. Over the counter orthotics do not take these differences into account. 2. Look at the bottom of an older pair of tennis shoes to see the wear pattern. You do not need to know what a normal wear pattern is to see that yours is abnormal. Notice where the shoe has been worn down. In some areas, the tread will have been worn away. Specifically notice the wear pattern around the heel. If you look at the shoes from the back, you can usually see the wear pattern a little better. Make sure you compare your shoes to each other. Your shoes should be mirror images of each other. 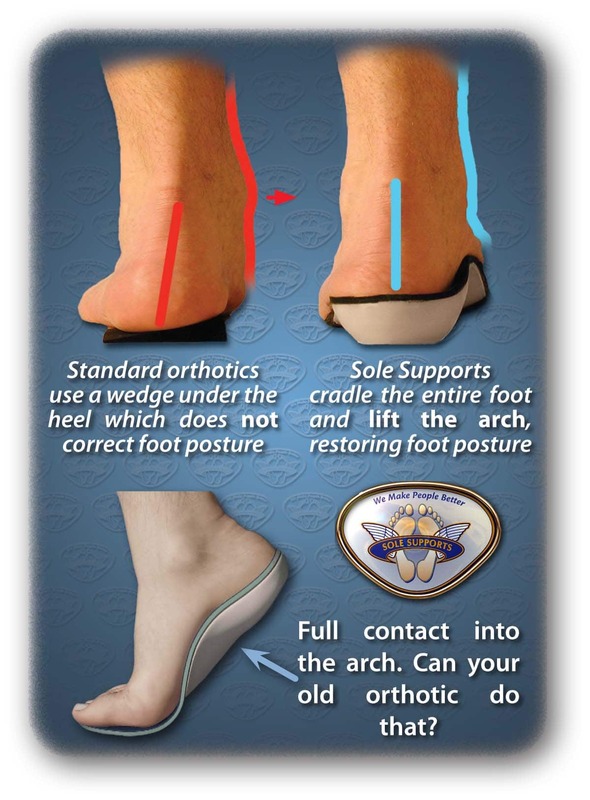 If you have any of the problems listed above and you have abnormal wear on your shoes or your arch pronates too much, custom orthotic inserts from Sole Supports are a good treatment option for you. Call Dr. Bryan D. Royer at 419-517-5055 today to set-up a consultation and examination and have your feet aligned in Harmony.